Welcome to the Vaden Store. Drag products that you wish to purchase into the shopping cart area on the right. 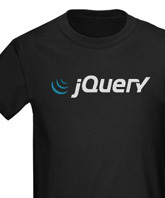 Flaunt your jQuery expertise in the most obvious way possible, with the official logo on your chest. 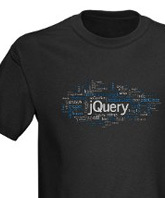 Why bother with jQuery cheat sheets when you could wear one? Of course, it would be upside-down. 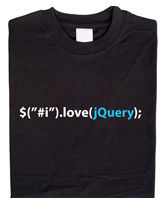 Running this shirt's method will automatically send a thank you email to John Resig. You know you use it, so why try to deny it? 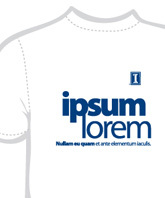 Proclaim your love for ipsum lorem proudly with this stylish branding shirt. When you're an amazing developer, you gotta protect yourself from danger. 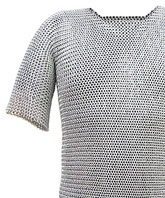 This chainmail t-shirt will make sure you are the only global variable standing. As you browse through the product listing, you can add your items to the shopping cart by dragging them into the box below. Drag items here to add them to your cart. Remove all items from cart. Are you sure you want to empty the contents of your shopping cart.